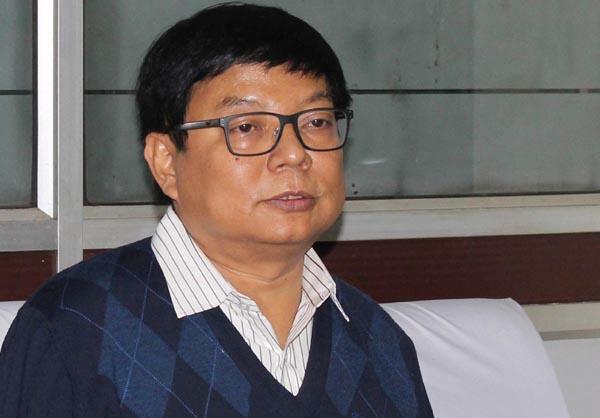 Leader of the Opposition in Assam Assembly, Debabrata Saikia Monday said Congress is talking to other anti-BJP parties to defeat the Citizenship (Amendment) Bill if it is introduced in Raja Sabha. "Congress will take all steps to stop passage of the Bill in Rajya Sabha. At present, we are talking to other parties to defeat it if brought in the Upper House," the senior Congress leader said at a press conference. If the contentious bill is passed, it will not only affect Assam and North East, but will have negative impact on the entire country, he said. "Except BJP, all other parties are opposing because it is anti-Constitution. The Assam CM had earlier said that he would work only for the people of the state. Now he is working only for his personal gains," Saikia said. He also opined that if the Bill is enacted, then the Hindus living in neighbouring countries like Bangladesh are likely to be "subjected with religious persecution". Saikia also regretted that the Assam Assembly Speaker did not allow a discussion on the Bill before the Parliament session is ending. "Considering its importance, we requested a special session on the Bill. But due to the influence of the government, the request of Congress, AIUDF and AGP were not accepted," he said. The Citizenship (Amendment) Bill, which was passed by the Lok Sabha on January 8, seeks to provide Indian citizenship to Hindus, Jains, Christians, Sikhs, Buddhists and Parsis from Bangladesh, Pakistan and Afghanistan after six years of residence in India even if they do not possess any document. Meanwhile, former additional chief secretary of Assam, MGVK Bhanu joined the Congress on Monday along with some other persons. The Congress also released two election songs at the joining function.